Yona is the first southern village on the eastern side of Guam. Its boundaries stretch for six miles, from the south side of Pago Bay to the north side of the bridge at Jeff’s Pirates Cove in Ipan, Talafofo. The village also extends west on route 17, or Cross Island Road, from Route 4, or Chalan Kanton Tasi, to Tarzan Falls, near the Naval Magazine overlook. Its jurisdiction also includes the area from Pulantat and Manenggon Valley to Longfit Bridge in Chalan Pago. A twenty minute drive from the village will take you to either the U.S. Naval Station in Santa Rita or the U.S. Naval Hospital in Agana Heights. Since Yona is atop a hillside, you will see the island’s mountainous interior and the ocean views along the cliffs as you drive through the village. There is also hardly any traffic in the village, keeping it quiet and peaceful. Yona captures the true island spirit. It is a quiet neighborhood with a population of around 6,484 residents. The village is abundant with stunning rolling hills, lush green vegetation, and spectacular ocean views. 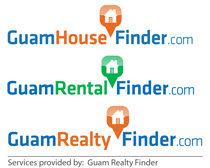 Yona is one of Guam’s largest municipalities in area and is divided into ten sections: Baza Gardens, Windward Hills, Ylig, Manenggon, Camp Witek, Pulantat, Triangle, Central Yona, Tagachang, and as Namo. The village is one of the largest villages on Guam. A lot of new housing developments are being developed in the surrounding area that is sure to be an eye catcher. Many of the homes in the main part of the village are a mixture of housing developments. Some areas have homes that are close in proximity of each other with small yards and then in other areas there are large homes with very large yards. The village does provide a healthy assortment of residential options. Some of the newer homes built in the last few years are really extravagant multi-story homes with fantastic ocean views. Although the village area is mostly residential, there are many interesting attractions for you and the whole family to keep busy. The Leo Palace Resort sits on a massive chunk of land that is filled with plenty of outdoor activities and amenities; consisting of a convenience store, sports field, a golf course, swimming pools, restaurants, a bowling alley, a hotel, and a condominium development. Many concerts, championship games, and festivals are hosted at the resort annually. Many hikers go to Yona for an adventure. Behind the Leo Palace Resort, you will find the famous Tank Farm. The Tank Farm is littered with rusted WWII-era tanks that were placed there for target practice by the U.S military during the war. Beyond the tank farm there is Sigua Falls. Sigua Falls is a natural waterfall deep in the jungles of Yona that is only accessible by hiking. It is definitely worth the adventure for the whole family to enjoy. Yona is no exception if you want that island experience. There are a few beaches in the area as well. One of the beaches is the Tagachang Beach Park. The coastal park is at the site of an ancient Chamorro settlement. An ironwood lined road winds its way to the park which is situated between the limestone cliffs of Yona and the fringe reef on the eastern side of Guam. It is a well-known fishing ground, though it is surrounded by strong currents outside the reef. The park offers a large pavilion for group events in addition to smaller pavilions. The other popular beach is Turtle Cove. This is an inlet of Ylig Bay which was once the site of a sixty-unit- A-frame campsite with water and recreational activities including fairs featuring craftsman and dancers from Guam and Micronesia by Kloppenburg Enterprises Inc in 1969. The complex was destroyed during typhoon Pamela in 1976 but the Cove is still used as a picnic area. How can you go wrong when your home is so close to these beautiful views of the ocean and mountains? There is plenty for you to see and explore. You will not be disappointed. See you in Yona!